Still. that is too bad. VW is on a quest to recuperate some of these billions lost in their diesel scandal. 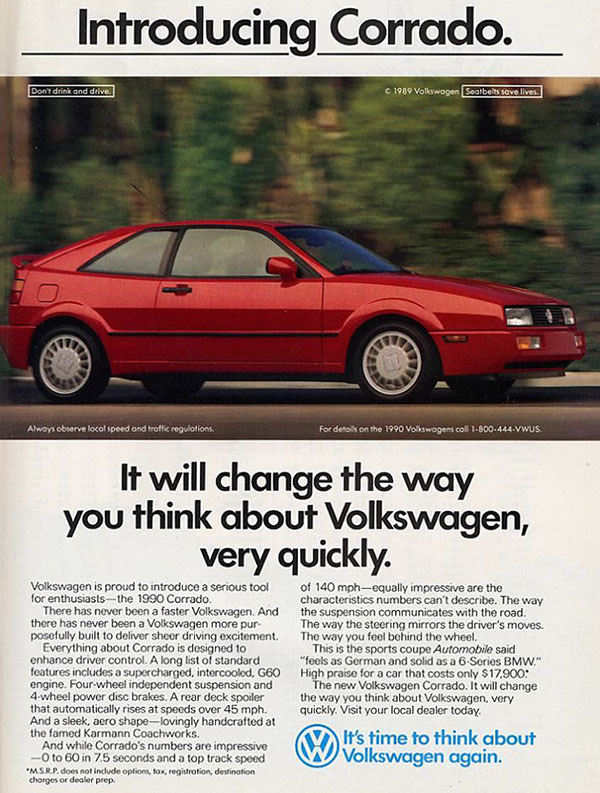 And slow selling cars like the Scirocco have to go, I guess. 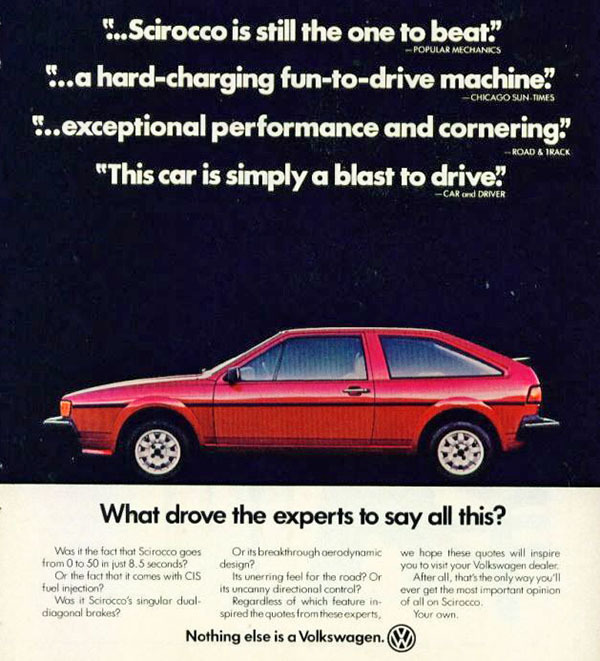 So here are a few original ads for all generations of the Scirocco. 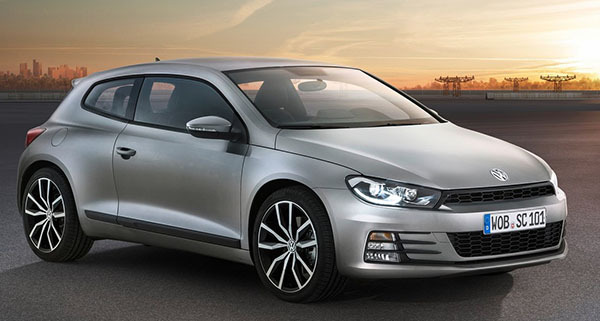 The 1st generation came out in 1974 and was meant to be a sporty coupe version of the all new VW Golf. 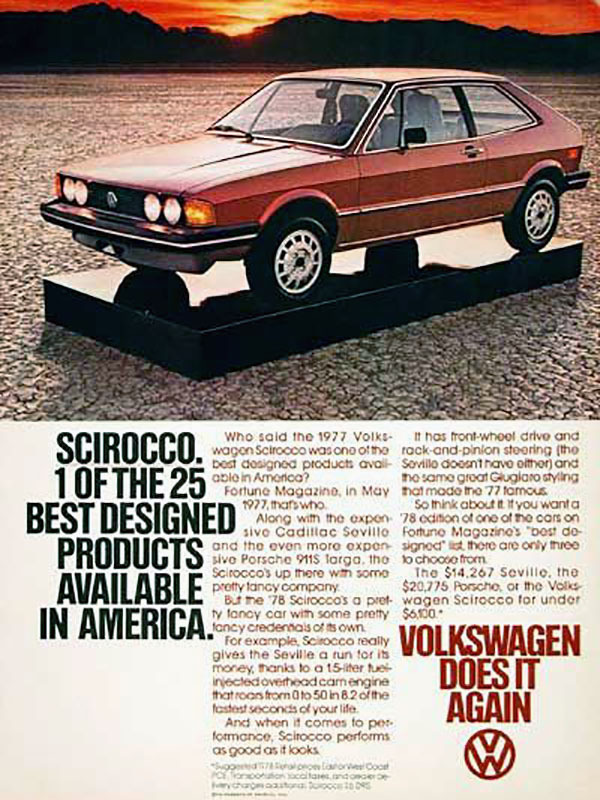 And both cars were design my the master, Giorgetto Giugiaro. An all new generation came out in 1981.